Habitat homeowner Khoon Lin and his family. Your gift ensures homes continue to be built efficiently – and with neighborly love! For the past 30 years, generous people like you are the reason more than 130 families have been able to build safe, affordable places to call home. Your donation is the most powerful way to make this happen for even more families. Every dollar directly supports homebuilding and neighborhood revitalization in the Capital District. Every gift, no matter how large or small, makes a difference. To learn more about our convenient recurring gift program, click here. Your gift to Habitat for Humanity Capital District includes a subscription to our monthly e-newsletter Hammer Times so you can see your donation at work. You’ll also receive news alerts and opportunities to get more involved with our work locally. Deepen your connection the families and neighborhoods we serve together by joining Carpenters Club. Your monthly Carpenters Club gift guarantees Habitat regular and predictable funds, which allows us to better plan our construction schedule and to make commitments to new homebuilding projects in our community. The Habitat Builders Society is a group of committed donors make it possible for our staff and volunteers to build homes in partnership with families in need of decent housing. Join today by making any single gift of $500 or more. Organization Name: Habitat for Humanity Capital District, Inc.
Then make your donation online or write a check payable to Habitat for Humanity Capital District. Send your completed and signed form, along with your check or a copy of your online donation receipt, to us at the address above. We’ll take care of the rest. 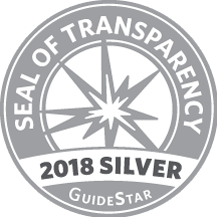 Habitat for Humanity Capital District is a Better Business Bureau Accredited Business and a GuideStar Exchange Silver Level Participant, two designations awarded in recognition of our commitment to accountability and financial transparency.  Habitat for Humanity is a tax-exempt 501(c)(3) nonprofit organization, which means that your gift to Habitat is tax-deductible as allowed by law.